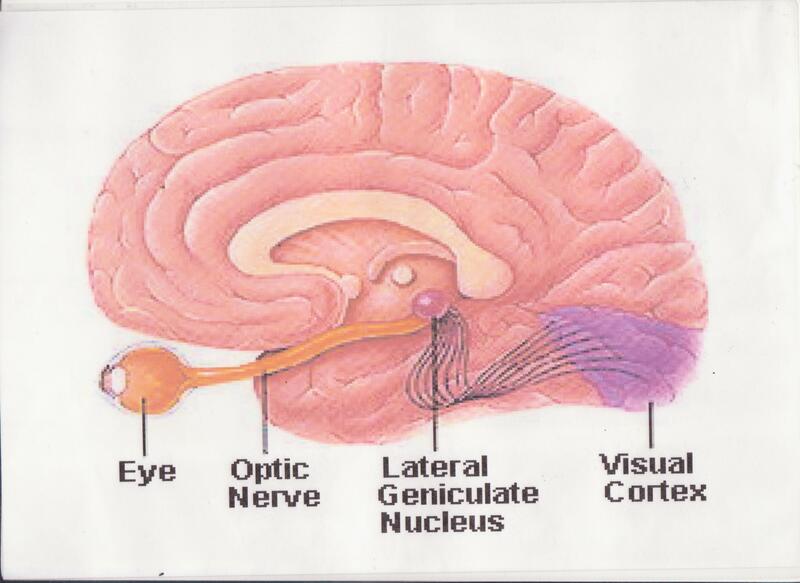 What the eye sees is not what the brain records. Silvano Arieti, like Sigmund Freud before him, viewed art as the unity between the inner and outer worlds experienced by all humans. Freud (1929) identified three levels of consciousness, the unconscious, the pre-conscious and the conscious. The unconscious and preconscious take precedence over the conscious mind without consciousness being aware of it. In other words two thirds of human activities are not conscious in origin. However, recent science has revealed that what the eye sees is not what the brain records. The eyes are a crucial part of the brain, but what the eye sees and imprints on the retina is not what the artist plays back to the world; art it is not a replica of the original image because eyesight is not proof of the original image. Rather, sight offers a vastly reduced and/or altered image to that produced by the world. In a very complex journey from the original image to a final piece of artwork there is an array of twists and turns and distortions. Prior to the image being presented to the external world the record of the original image stored in the brain’s visual cortex has undergone a sifting process whereby much of the data has been significantly changed or transported to another part of the brain. Why does this change happen? Simply put, various areas of the brain are allocated different tasks and need the data to fulfill their appropriate functions. For example, the original image might require a verbal description so data is sent to the area for processing language. Similarly, a memory of the image might be required so more data goes to the area for memory. Hence, the final interpretation of the image seen has been tampered with; it is not an interpretation, but a miss-interpretation. These discoveries might be attributed to recent work in the neurosciences, but this is in fact not new information. The ancient Eastern civilizations have taken this changing perspective as something given by nature (or those gods and goddesses that represent nature). In ancient philosophy art is never a true a copy of nature because not all of nature can be absorbed by humans and nature is ever changing as is the conscious mind that absorbs and records it. Indeed, the Eastern view of the world is far less static, rational or anthropocentric than that of its Western counterpart. In Eastern philosophies conceptualization is an open ended process. This in turn, makes the understanding of Eastern art and writing a very different task to that of analyzing European culture and aesthetics, notwithstanding, Western modernism has introduced a number of overlays and shared cultural experiences into the equation. Silvano Arieti (1976) Creativity: The Magic Synthesis. Basic Books, New York p53-54.